Written with both parent and teen in mind, each of the 60 stories outlines a real-life situation that young people on the autism spectrum are likely to encounter. Each story is followed by questions such as 'what else might he have done? ', 'how do you think she felt?' and 'why do you think they were upset?' along with practical tips for parents on how to initiate constructive discussions. As teens consider these questions with adults, they will begin to be able to put themselves into someone else's shoes and think about how their actions and behaviour may affect those around them. This process will equip them to transfer this invaluable understanding and confidence to other everyday life situations. This interactive workbook deals with issues that older adolescents and adults face such as relationships, marriage, independent living, employment, self-care, etc. The author uses the nonagram, a nine-pointed star symbolizing achievement and completeness to visually guide readers through each major section of the book This much-needed resource is designed to inform and support individuals with AS as they come to grips with their strengths and challenges and plan for a successful adulthood within the neurotypical world. Fitting in to school and social life can be the single most challenging task when you have Aspergers syndromeAspergers Rules! can help. Packed full of information, this book covers common school situations and the uncommon challenges that they can present to a child with Aspergers. Kids will find the how-to for understanding and communicating with peers and teachers, standing up for and taking care of themselves, setting realistic goals, and making friends. Aspergers Rules! belongs in the backpack of every kid with Aspergers and is an essential resource for getting the most out of middle school. If you have Asperger's, high school can be a time of great promise and opportunity � to learn more about subjects you're excited about, join clubs and activities that interest you, and make new friends � but it can also be uncomfortable at times. This book helps you use your strengths and unique personal style to feel more comfortable in high school. Take a look inside, and find some ways to help yourself feel more comfortable and more relaxed in high school � and better able to make friends, understand teachers, and get the grades you are capable of! Being a teen or tween isn't easy for anyone but it can be especially tough for Asperkids. Jennifer O'Toole knows; she was one! This book is a top secret guide to all of the hidden social rules in life that often seem strange and confusing to young people with Asperger syndrome. The Asperkid's (Secret) Book of Social Rules offers witty and wise insights into baffling social codes such as making and keeping friends, blending in versus standing out from the crowd, and common conversation pitfalls. Chock full of illustrations, logical explanations, and comic strip practice sessions, this is the handbook that every adult Aspie wishes they'd had growing up. A one-stop guide for young girls on the autism spectrum explaining all they need to know about puberty and adolescence. The pre-teen and teenage years are a bumpy time when bodies change, emotions are high and peers are developing at different paces. Using simple, literal language and delightful colour illustrations, this book explains the facts about body changes such as growing hair in new places, periods, wearing a bra and keeping spots away! It gives cool tips on what makes a real friend, what it means to have a crush on somebody, and how to stay safe online. Most importantly, it explains that every body is beautiful and unique and encourages young girls with autism to celebrate difference! Perfect preparation for the teenage years for girls aged 9-14. Many teenagers with Asperger's Syndrome leave school feeling unsure of how to take the next steps in their lives. Leaving the comforts of home and facing the unknown can be daunting, but with the right support and advice these young adults can adapt and enjoy their newly-acquired independence. Filled with useful advice, easy-to-apply techniques, and personal anecdotes from both the author's own experiences of Asperger's Syndrome and those of his students, this book is a practical guide for helping young adults on the spectrum achieve independence and learn life-long skills of self-knowledge, self-sufficiency, and self-advocacy. With chapters on social skills, handling finances, keeping healthy, and succeeding in higher education or first employment, Dr. McManmon provides the encouragement that any young Aspie needs to make the transition from an adolescent into a happy, confident and engaged adult. The transition from primary to secondary school is a time of great anxiety for most children. For children with an Autistic Spectrum Disorder (ASD) this anxiety can be overwhelming. Fear of the unknown, difficulty coping with monumental changes and the inability to imagine a favourable outcome, can all combine to make this unavoidable step in school life a time of great fear and dread. This book provides guidance for schools and parents on how to make the transfer from primary to secondary as easy as possible for children with ASDs. It advocates the need for scrupulous preparation of transfer arrangements because children with ASDs struggle to predict the outcome of any new situation. Adolescence is a difficult stage in anyone's life, but for an adolescent with Asperger Syndrome the difficulties are inevitably more complex. 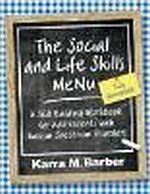 Based on her own experience of raising a son with AS, and following on from the hugely popular Parenting a Child with Asperger Syndrome, the author lays out practical tips for dealing with issues such as dating, alcohol and drugs, anger and depression, further education, employment and independent living. She encourages parents to evolve and adapt their parenting style to meet the needs of the teen as they develop and change. All the suggestions are designed to foster understanding and acceptance between family members and help the AS teen with common problem areas such as anxiety and self-esteem. This workbook provides guided strategies to help those with ASD engage and connect with other people at home, school, work, social gatherings, and in the community. Drawing on their experiences as parents and teachers of kids with Asperger's syndrome (AS) and Nonverbal Learning Disorders (NLD), the authors provide tips on understanding the disorders, living with the symptoms, succeeding in school, completing homework, talking to others about strengths and needs, making friends and socializing, and using technology to connect with other kids with these disorders. By interviewing hundreds of kids who live with AS and NLD, the authors include ideas, information, and advice for kids, by kids just like them. This handy guidebook is sure to help any child or teen with AS or NLD navigate life's challenges with successful outcomes. Tom notices that his body is changing. Tom's voice is different and hair is growing in new places. There are other changes happening too. Tom learns that he has started growing into a man. Following Tom as he begins to notice changes to his body, this simple resource helps parents and carers teach boys with autism or other special needs about puberty. It covers all the changes that they will experience, both emotional such as new feelings and physical such as wet dreams. This fully illustrated positive and entertaining book provides the perfect opportunity to talk about puberty with boys and young men with autism or special needs.